Australia's Orion Expedition Cruises plans to boost UK sales before it buys a second ship. The cruiseline's ship, Orion, sails between Darwin and Broome in the Kimberley, Northern Australia, and to Papua New Guinea and Antarctica. However, founder and managing director Sabrina Bratton, in London last week on a UK/US sales trip to raise trade awareness of the cruiseline, said she is keen to increase international bookings and buy a second ship. "Despite economic conditions, it's still expensive to build, so we are looking to buy. We are a profitable company with a 35% repeat factor. But that brings its own challenges as it means we have to offer new destinations and itineraries for repeat passengers," she said. 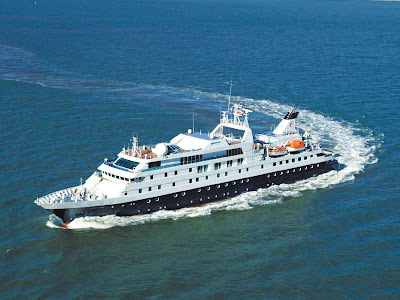 Bratton said the second ship would cruise around Asia, which would attract repeat guests as well as the UK market. "We are offering a cruise from Singapore to Ho Chi Minh City, and we want to build on that. Our research shows there is demand for Asia." Orion cruises are priced in Australian dollars, but Bratton said a pound-based brochure would be produced as UK business improves. As well as specialist cruise agents, she is targeting retailers and operators with a strong database of well-travelled clients who are not cruisers but are looking for something different. Australians account for 90% of Orion's passengers, excluding charter business, with Brits and Americans making up most of the remaining. Bratton expects 60 British passengers this year, worth about £315,000. If Orion adds the second ship, Bratton hopes the UK and Europe will account for 25% of sales. She said: "We have representation in South Africa and Asia but we have identified the UK as the biggest growth market after the US." She said the new ship would be small - Orion holds just 106 passengers - so it can visit remote destinations. Is ‘Birthday Girl’ Australia’s Oldest Koala?